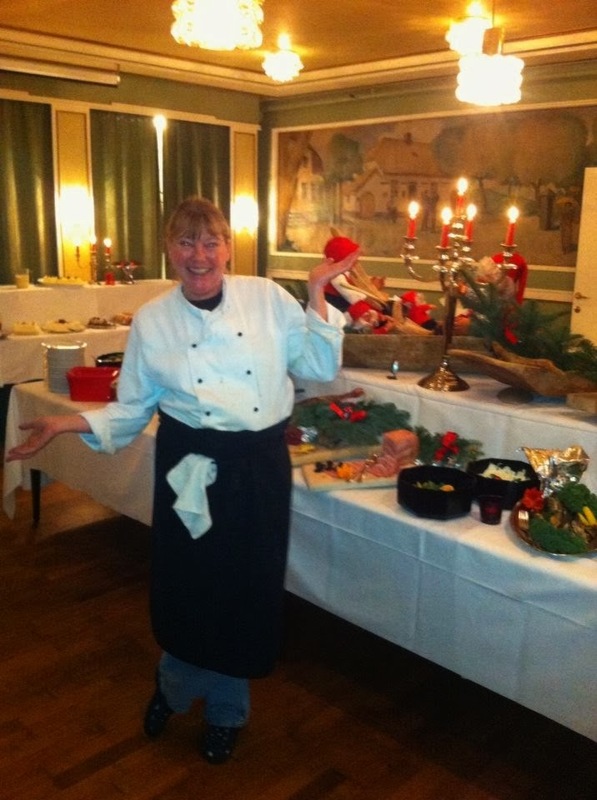 Christmas in Norway lasts forever, especially if you are working in the restaurant business. Since the middle of November I have been cooking Christmas dinner for hundreds of guests. Just look at all this food, and this is just the cold food. There are desserts and warm food as well. This has been a busy month for me, so sorry if I have been absent. 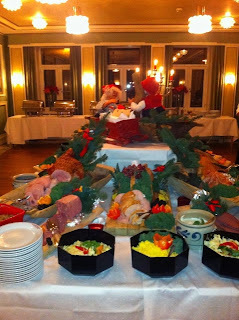 The Christmas Buffet at the hotel where I work is a popular destination for businesses, families and friends. By the time Christmas is here I will have had my fill of food! Not everything has been about food. If you remember from my last post, my daughter was expecting the birth of her first child. Guess what I did this Thanksgiving? I met my grand-daughter for the first time. Introducing Victoria, I think I will call her Tory. Both mother and child are doing well. Enjoy the rest of your week! I hope to get around to visiting my blogging friends soon. 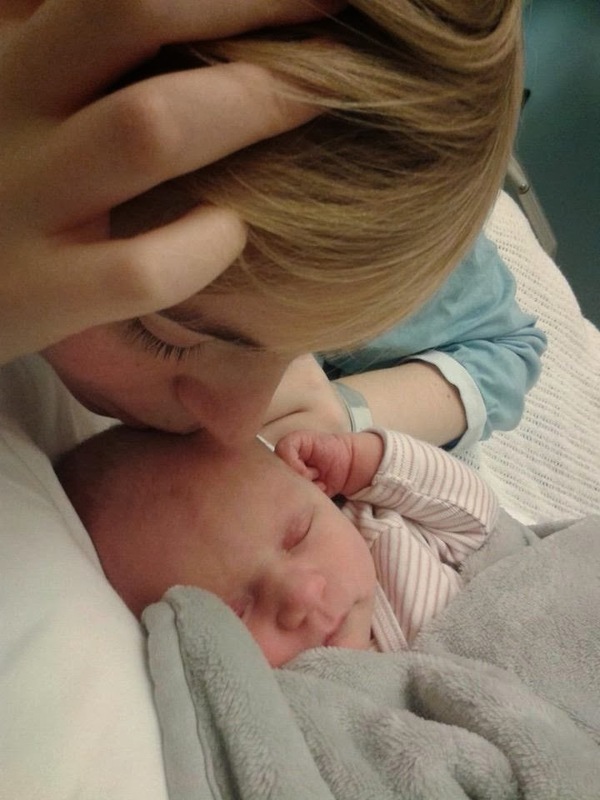 Congratulations, Siv, on becoming a grandma. She's beautiful. What a spread! I'm sure this is THE busy season for you at work, Siv. Congrats to your family on the beautiful new addition! That is a lot of food, but then it's cold up in Norway, and food creates heat to warm up the cold. You must be a great cook. One of our relatives did that in her younger days. Feeding a crowd is a skill. Lovely baby photo,they are so precious at that age. I like the name too, I wanted to name one of our daughters Victoria, but hubs got to name them as I was 'out of it' when they asked. Congrats to you and your lovely daughter too! Good to hear from you, Siv! Congratulations to your daughter. Hopefully someone else cooks Christmas dinner for YOU. What a coincidence. I just sent you an eCard stating I've missed you. Now, I know the why of your silence. You were missed. It is a lovely photo. Wow. That looks like a ton of food to prepare! Hi Siv - congratulations on Tory - how quite delightful for you - a brilliant Thanksgiving/Christmas gift of joy ..
You do look like you're working hard and yes cooking for the masses every day is hard work .. have a peaceful quiet foodless (?!) Christmas .. perhaps something a little different .. champagne and smoked salmon .. Many congratulations to you!! What a wonderful way to celebrate Thanksgiving!! A new grand-baby trumps blogging any day! Congrats on your granddaughter what a cutie! I bet you are at the point where you don't want to see any more Christmas foods for a while. :) Look at all that food and making it for a month would be exhausting!